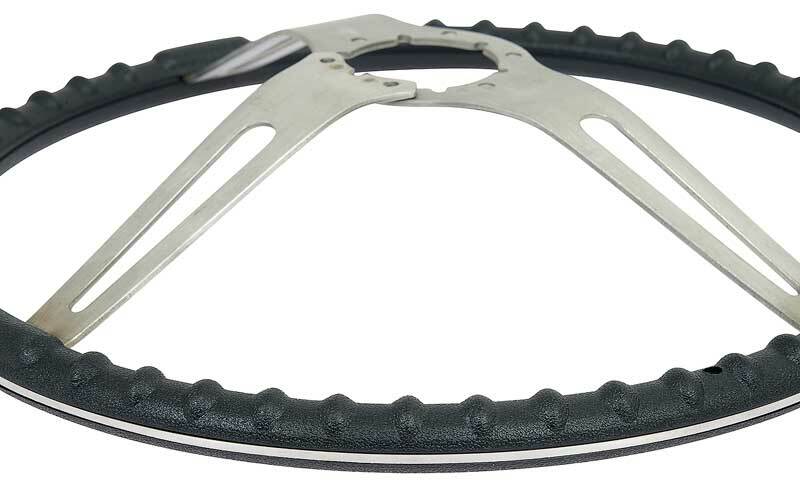 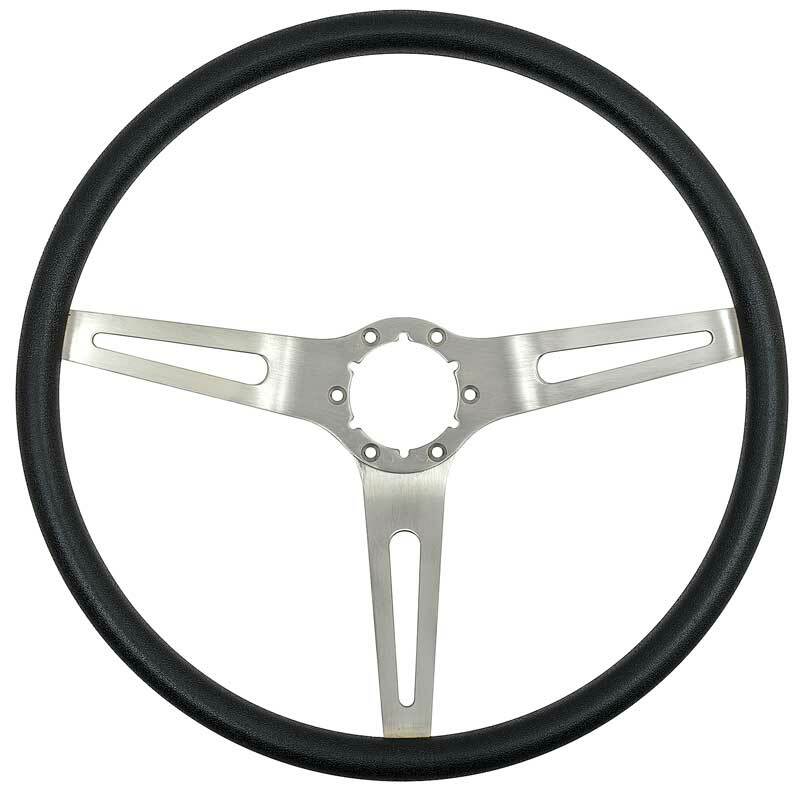 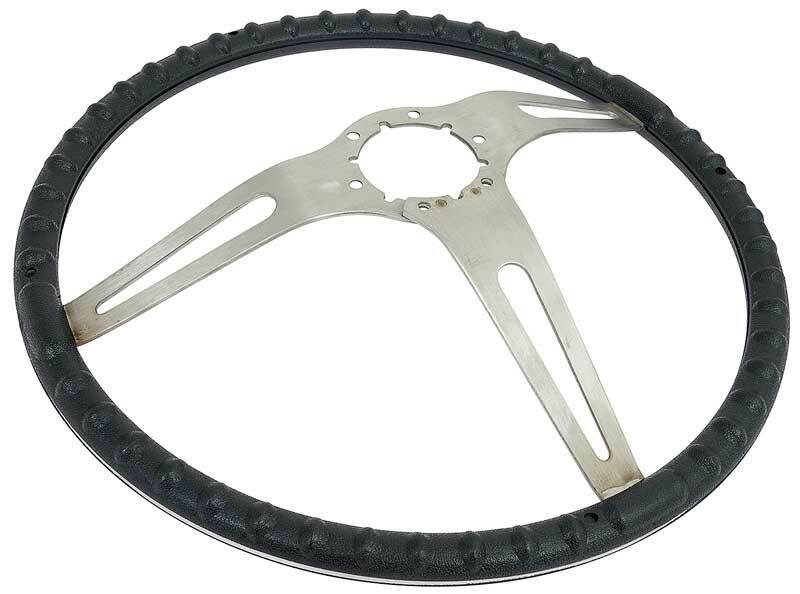 Reproduction of the original style 3-spoke Comfort Grip steering wheel (GM option NK1). 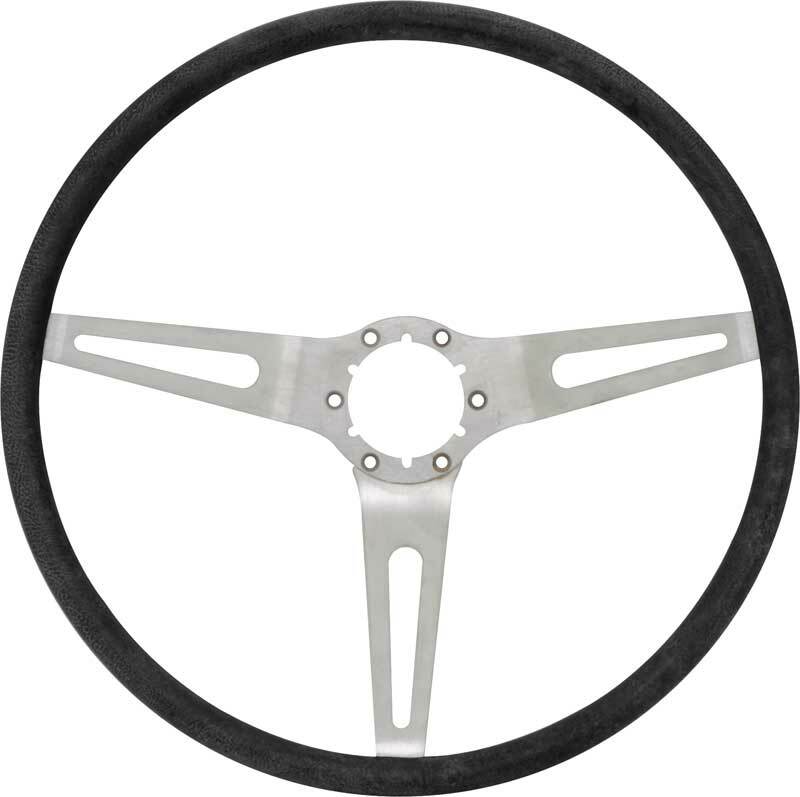 Manufactured as original including correct 3-spoke design and black cushioned grip 15" steering wheel. 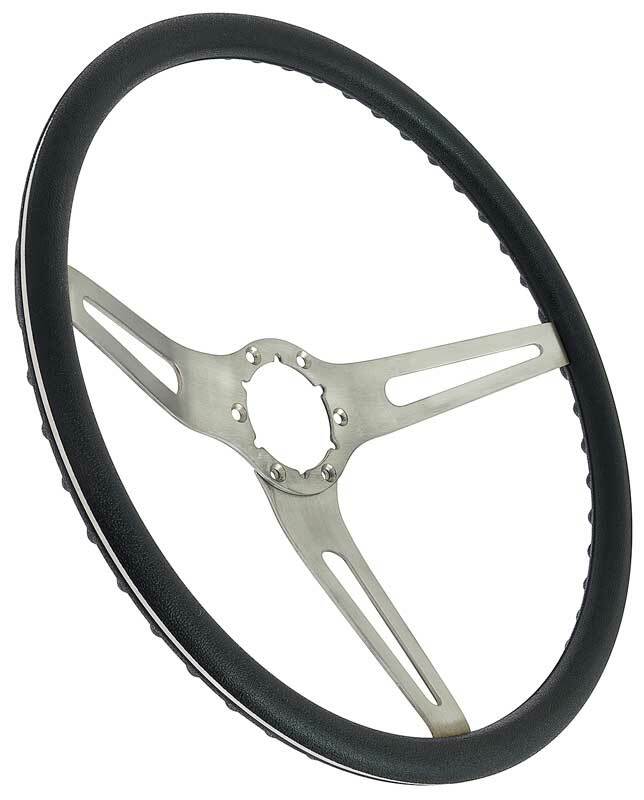 This 3-spoke slotted design includes correctly brushed finish stainless steel spokes and a textured black grip. 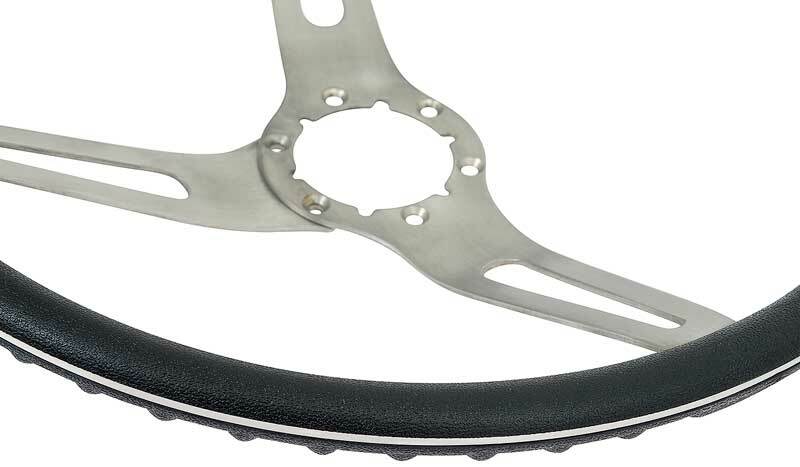 Purchase mounting kit K438 for models without tilt wheel. 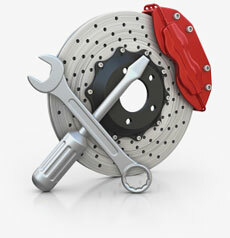 Purchase mounting kit K439 for models with tilt wheel.